Measuring antenna pattern and gain accurately is often a challenge. This is not only due to the demands of expensive test equipment, but also the requirement to have skilled and knowledgeable workers. In addition, it is impossible to avoid the interactions introduced by the test equipment and test fixtures/equipment holders. 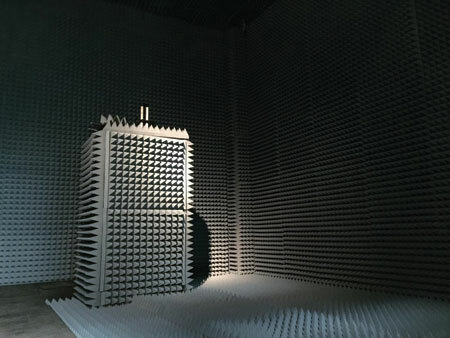 Unlike most microwave component testing, antenna pattern and gain measurements need to be performed in an open-space environment with well controlled with minimum reflections. Currently, the widely used antenna pattern and gain measurement systems are realized in three categories: Far Field Range, Near Field Range, and Compact Range. 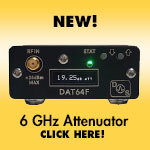 In most cases, these systems are cumbersome and expensive, regardless of the frequency band. They become unaffordable once test equipment, such as a Vector Network Analyzer (VNA) or Synthesizer and Spectrum Analyzer are added, especially at millimeterwave bands. Because of that, most businesses cannot afford their own antenna range, and outsource the service instead. The question is if antenna and gain measurement is even necessary today if the antennas are simple. In the meantime, measuring pattern is a very delicate and detailed task. It requires skilled and knowledgeable workers, often full-fledged microwave engineers, who are not only familiar with VAN, but also proficient with the setup and alignment of the Antenna Under Test (AUT) and Transmitter Antenna. 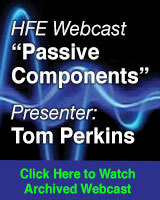 Any misalignment or reflection caused by the test fixtures, etc., could introduce measurement errors and uncertainties. On the other hand, the modern EM solvers are mature. Today, most commercial available simulators, HFSS, CST, and uWave Wizard, can take account into all aspects to include the material and finishing properties, and give very accurate simulation results. In the meantime, mechanical design tools such as Solidworks and other tools are capable of taking the simulated structure to realize the physical antenna structures without losing the dimension accuracies. With help of the modern manufacturing tools, such as CNN machine centers, wire EDM, EDM Sinkers, and 3D printers, we can achieve the required accuracy in a straightforward manner. 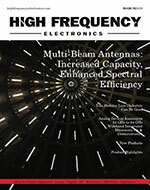 Because of the above, the industry has accepted that simulated antenna patterns and gains for simple aperture antennas such as rectangular horns, circular horns, lens corrected antennas, scalar antennas, Gaussian antennas, Cassegrain Antennas, Reflector Antennas, and Omni Directional Antennas are very accurate. As long as the above processes are used, the produced antenna hardware will produce the patterns and gains that the simulator predicts. As a contrast, the measured antenna patterns and gains of these antennas are often distorted due to setup limitations and operator abilities. In other words, the measured patterns and gains are often less accurate than the simulated data. Based on above, SAGE Millimeter highly recommends using the simulated antenna gains and patterns instead of measured data for simple aperture antennas mentioned above. To further ensure the call, we performed an investigation by measuring the patterns and gains of an E-band gain horn antenna. The results are shown on page 38. The measured data and simulated data are very similar, but the simulated data is more accurate because the patterns are supposed to be symmetrical due to the antenna being symmetrical. Yonghui Shu is President of SAGE Millimeter.